Leaves: Petiolate. Alternate rarely opposite. simple or compound, exstipulate, reticulate venation. Flower: Ped ic i I late. ebracteate. actinomorph ic, Regular. Calyx: 5 sepals, free, imbricate, petaloid. Corolla: 3-5 or more petals. Free. imbricate, sometimes petals may.be absent. 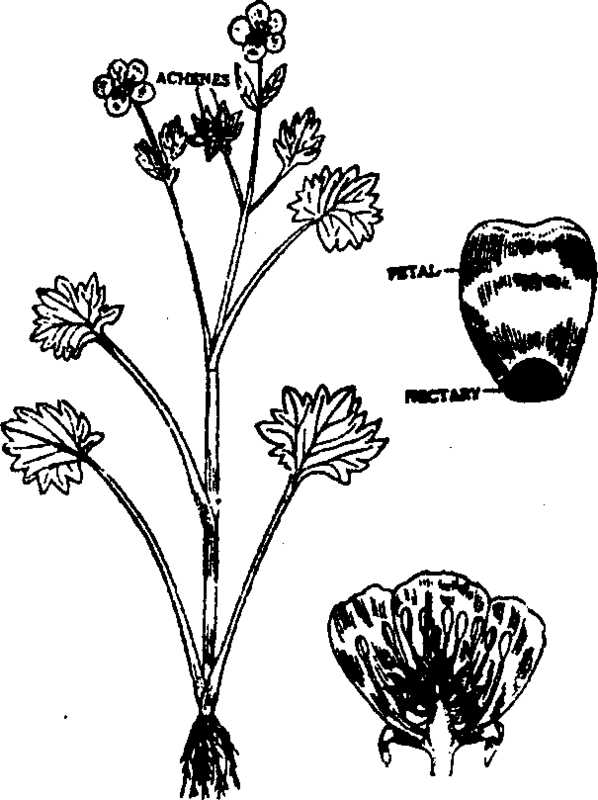 Sometimes, petals are changed into nectaries. Stamens: Stamens are numerous, free. spirally arranged, basitixed. Carpel: . Numerous carpels. polycarpillary: ovary simple. 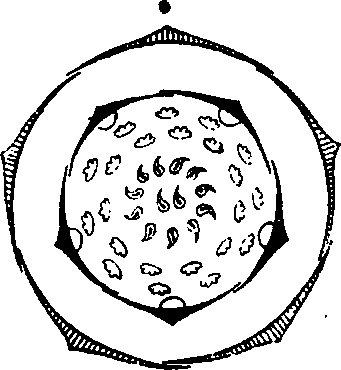 apocarpous, one to several ovules in each ovary. placentation basal or marginal. 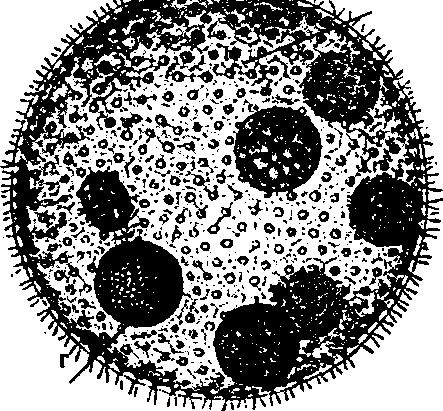 Fruits: An etaerio or achenes or follicles, sometimes berry or capsule. I. Ornamental plants: Most plants are cultivated for their beautiful flowers like Buttercup etc. Medicinal plants: Some members are used as medicinal plants. Aconitum yields an alkaloid aconitina. Thallicirom yields mamira. It is used in the treatment of ophthalmia. Condiments: Some members are used as condiments. For example, seeds of Nigella It is also used as drugs. Weeds: Some members are needs like R. antriccaus. Importance of honey: Most members of this family have nectaries. F lic nectaries have great importance for honey bees. Poisonous species: Some members of this family produce acrid juice. It is highly poisonous. It is a large family. It has 20 genera and 1200 species. It is mostly distributed in colder regions. Its members are vastly found in I limalayan region of Pakistan and India. This is very easy and well defined website for biology related problem. I would like to thank who help to find out this easy and highly advanced website. thanks..thanks..thanks.thanks..thanks a lot ,really helpful, i appreciate your work.